This is true without any assumption that Ken Uston is one of the well known figures, who is famous as a genius having IQ 169, a marvelous writer and a Jazz pianist. One of the most important peculiarities of Ken Uston is that he comes in the play forgetting the challenge before getting money. Ken Uston considered the game of Blackjack not only a business, but also a complete way to spend life. According to him Blackjack was not the game of chance. The name of Ken Uston has been written with the golden words in the Blackjack's history and its discussion remains incomplete without mentioning his name. 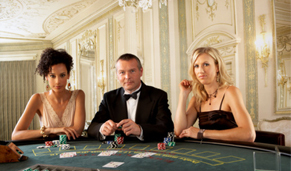 The team of Ken Uston had been playing by doing mathematical calculations in order to know the positive or a negative trend in the game at Blackjack table. His team had been using Reverse System, however, with the passage of time they have determined to utilize Hi Opt I system. 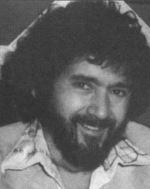 This system was introduced by Lance Humble in the year of 1976. The basic rules of this team play were simple. They have counters which used to place smaller bets until favorable time reached. When the good time arrived, they called upon the "Big Player" who possessed the high rank among the team. When the "Big Player" arrived in the game, he placed large bets or bankrolls until the good time was over. In addition, the role of "Big Player" was continued until the card decks shuffled. The team along with the Ken had made marvelous business in the Casino, named Sands, where they had generated $200,000 without any difficulty. The Shift head of Sands Casino after the loss of this huge amount warned Ken either to leave the Casino instantaneously, or he otherwise; he will be arrested. Similarly, Ken had been banned by different other Casinos, like Desert Inn, Silver Slipper, Frontier and Castaways, etc. A Scientist, named Keith Taft invented a device for assistance in the game of Blackjack. He contacted Uston and informed him about George, who was the perfect Blackjack player. George possessed the program stored in a memory case with small microprocessor. George also possessed the battery as well with him and all of the parts of the device had been intimated at different regions of his body. Ken Uston died suddenly on 19th September 1987 in Paris. It is thought that he was passed away due to an extensive heart attack. Even after his death, people who are fond of playing Blackjack didn't forget him. He has left unforgettable memories. Ken Uston had developed a trend of Blackjack etiquettes. He is still admired and praised on account of his efforts and Excellencies. 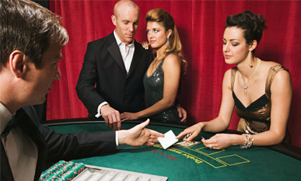 Although card counting system is not practiced nowadays, however; still there are many Blackjack rooms which should have different strategies for play. Please visit our website in order to learn these strategies so that your odds could be improved and you may start to earn like Uston.